DQ Channels’ flagship channel event has reached its 11th edition and took place at the city of Bengal, Kolaghat. At the bank of river Rupnarayana in Sonar Bangla resort, DQ Channels successfully concluded 11th SP Summit in Kolaghat which began on 18,19 and 20 March, 2016. SP Summit is a remarkable platform where India’s leading Solution Providers, System Integrators, Network Integrators, Application Providers and Value Added Resellers stand together to discuss the new strategies and technologies for growth and future of IT. In the 11th season of the conference, the Summit was based on ‘Make in India and Digital India’. This three-day event offered partners a wide scope of networking among the key industry personnel besides regular sessions to enhance knowledge base and open new business avenues. The event also focused on tomorrow’s technologies like Economic Ground Reality and next Future. On the 1st day of the event (award eve) DQ Channels organised Award Night and Gala networking dinner. 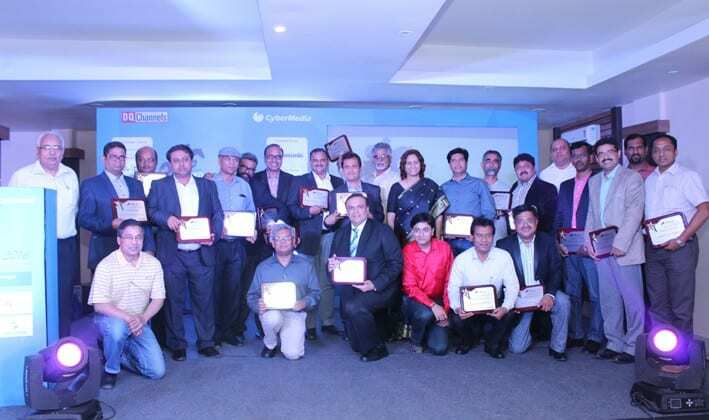 DQ Channels honored the leading System Integrators and Solution Champs. Let’s have look into the DQ Channel’s Awardees for different category. Solution Champ–Enterprise Mobility Foetron Inc.
Also, DQ Channels organised a well known Kolkata special Magic Show in between the Award show. All the delegates enjoyed and jaw dropping Magic tricks performed by. After the Award show, networking dinner was organised where sponsors interacted with partners and made networking over the cocktail and dinner. All the channel partners and DQ Channels Team gathered proudly and made this event a huge success. The event was successful with the help of our sponsors namely; Associate Partner- Panasonic, Gold Partner Awards- Electro Cheval, Associate Partner – Supertron DELL, Supporting Partner- IP COM, Supporting Partner- BPE and Annual Event Partner Toshniwal Enterprises. Shining Stars of SP Summit 2016 0 out of 5 based on 0 ratings. 0 user reviews.